Whatever it is that has made customers to look for our services, our certified hair and beauty therapists don’t disappoint. We are fully dedicated to campaigning healthy hair and stress-free lives with our pampering treatments. Our professional therapists listen closely to the customer, providing a tailored treatment designed to beautify and pamper. Founded in the local area, our convenient and stylish salon allows our customers to relax. We make it easy for our customers to find us, and our salon is specially bespoke to give customers the speedy and efficient service they’re after. We’re ready to welcome you with open arms, so pop by or call beforehand for us to get you sorted asap. You won’t be disappointed with the hairstyle our hair & beauty salon gives you, you’ll leave Aestetics Trichology Hair And Beauty looking and feeling amazing, willing for any event that’s thrown your way. With keratin treatments for all types of hair available, whatever image you want to rock, we’ve got you covered. Everything we do revolves around hair: no matter the service, our qualified technicians will be here to offer, regardless of job size. 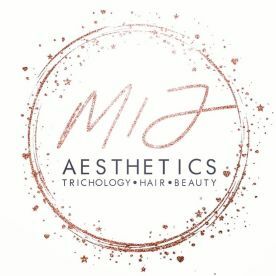 Please note that Aestetics Trichology Hair & Beauty may not be able to honour booking requests made.